It’s a sad day today as the family are leaving me to go home. We have all enjoyed our little cottage at the Bay in Filey. It was warm, comfortable and had everything we needed to make our stay enjoyable. The family are joining me today, this will be fun. 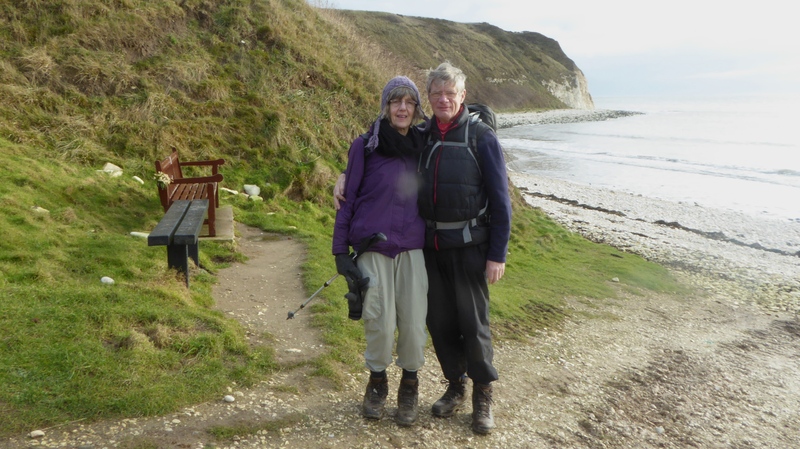 We resume on the coastal path called Headland Way at South Landing just below Flamborough. We can see Bridlington and the coastline going southwards spread in front of us. Today is my first day back walking this year and I have my family with me for a few days which is quite exciting. I could not of picked a worse day to start because there were weather warnings given that storm Henry was going to hit Britain. 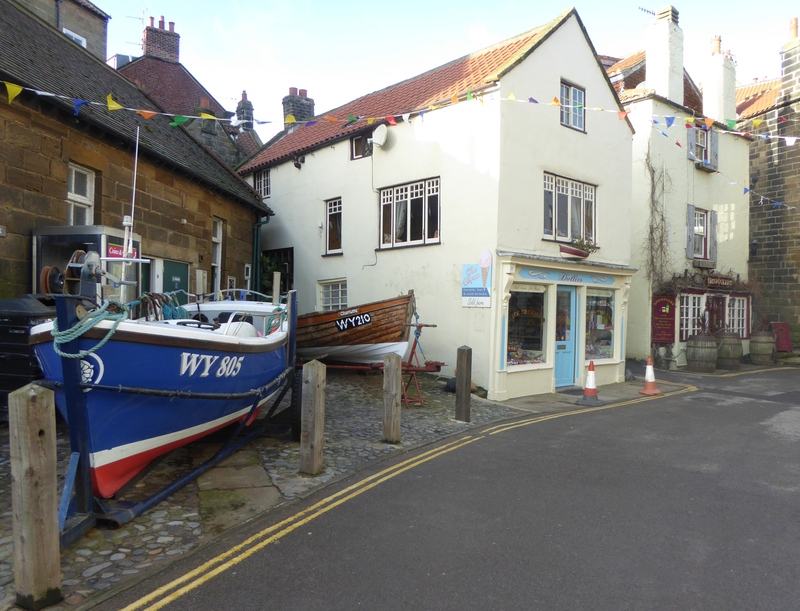 Runswick Bay is a place I have been to several times with its sweeping sandy bay and the cottages clinging to the cliff side. I love to come here to sketch but today I make the steep descent past the cottages to the beach to start my walk.